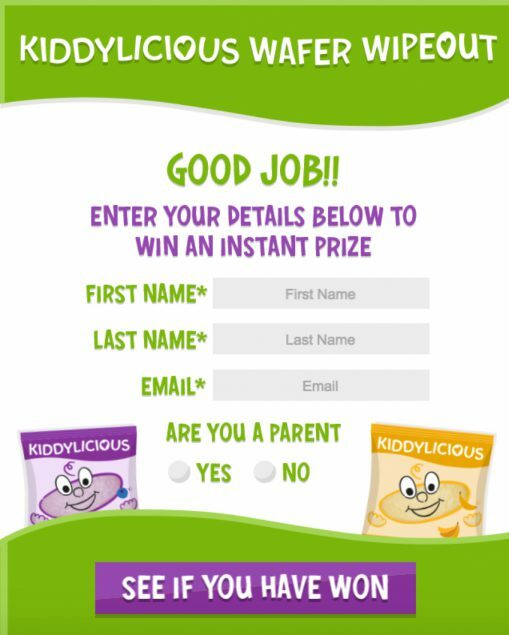 We’re delighted to share the details of our first project for our latest new client Kiddylicious, creators of fun tasty snacks for babies and toddlers. 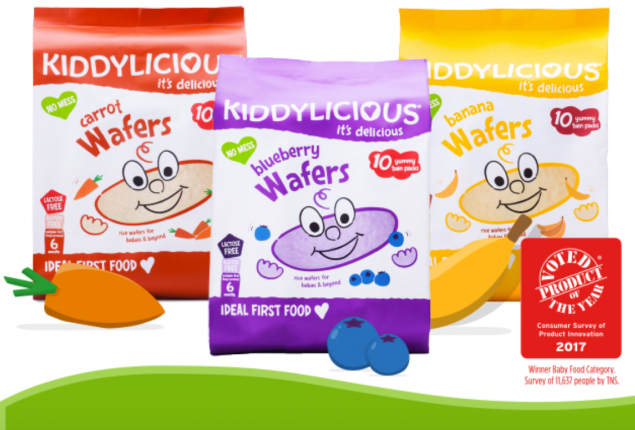 Kiddylicious Wafers are finger food snacks designed to be the perfect first solid food for babies. 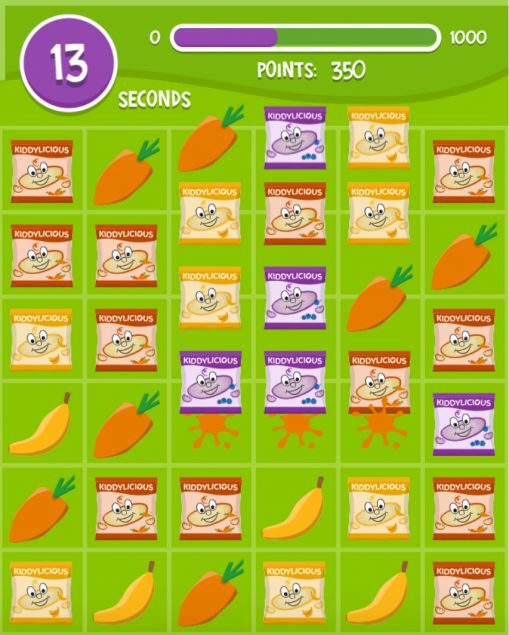 To raise awareness of the products amongst their core audience of mums, Kiddylicious asked us to create a fun digital experience on the brand’s Facebook page. The result, developed by our awesome digital team, is Wafer Wipeout – a match-3-style game for desktop and mobile that challenges players to move various fruits, vegetables and different flavours of Wafers to create lines of three or more. Get three icons or more in a row lined up, and they disappear with a splat, moving those above them down. Players earn ten points for every item splatted, and must reach 1000 points before the sixty seconds on the clock expire. Those who are successful can enter their details for the chance to win instant prizes, including 50% off Wafers vouchers, Kiddylicious snack boxes, baby hand-print casts and a Fujifilm Instax Mini 8 Instant Camera & 10 shot bundle. 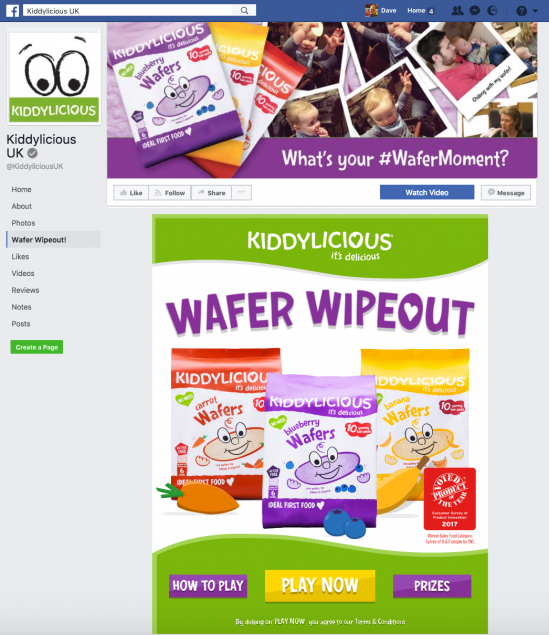 It’s been a pleasure working with the lovely team at Kiddylicious, and we’re delighted that the Wafer Wipeout game is now live and available to play. Do be warned though – it’s highly addictive! ©2019 Ready is a trading name of Xcetra Media Ltd.